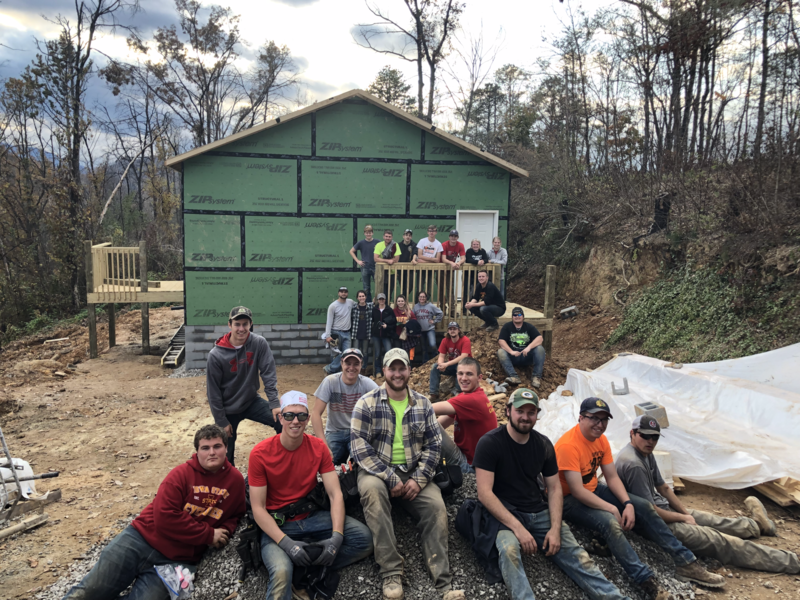 The Iowa State University chapter of Associated General Contractors (AGC) is fresh back from its semester service trip. This year, 48 students traveled to Gatlinburg, Tennessee, and gave a total of nearly 2,000 hours to local families. The group left Iowa State on Nov. 14 and returned on Nov. 20. Members of Iowa State University’s chapter of AGC gather outside one of their work sites during their fall 2018 volunteer trip. Photo courtesy Nate Pals. It’s a long-standing tradition with the organization to take part in both fall and spring volunteer service trips. These trips take place over the university’s semester breaks. During their trip, the students broke into teams to work on three separate projects. They laid the floor structure and framed a house, built three decks, installed insulation, and did site grading and sodding. As the Faculty Adviser to the Iowa State AGC Student Chapter for 147 years, and as an alumnus of ISU in Con E, I am always amazed at the selfless service by our students to those in our community and country every Thanksgiving Break and Spring Break. Since 2006 our students have completed over 40,000 hours of community service. From a retired old construction stiff now building churches thanks for what you did. May you all have a Merry Christmas & a New Year filled with many selfless projects.